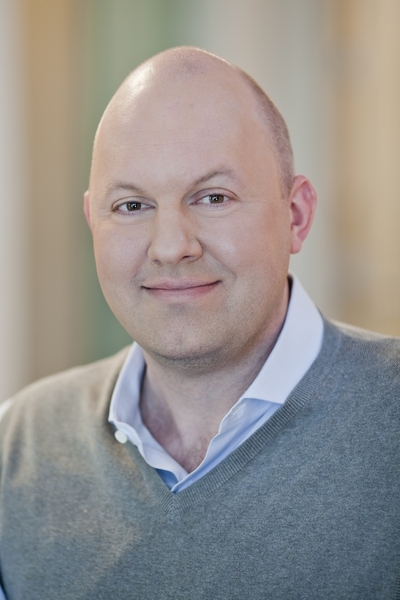 There’s no question that Andreessen Horowitz, the venture capital firm headed up by Marc Andreessen and Ben Horowitz, has become a major force since it was founded back in 2009. The young VC firm has funded some of the best and brightest companies in the tech industry: Facebook, Twitter, Zynga, Groupon, Airbnb, Box, Fab.com and Pinterest, to name just a few. And this is just the beginning — Andreessen Horowitz just announced it has raised $1.5 billion in fresh funding to invest in even more startups. “Our firm is very Silicon Valley focused. Now, we’re not religious about it. We’ll go far and wide to find the best companies and fund them. But there is a magic to Silicon Valley. It’s a lot like Los Angeles with film, New York City with finance or fashion, and Washington D.C. with politics. A lot of people want to work where there’s a critical mass of other people in their field; it’s like a natural force of gravity. “Closing this latest [$1.5 billion] round from our investors was a pretty straightforward process. The key thing is, we’re really focused on the alignment of our interests with the people who invest in us. Each of us at Andreessen Horowitz has a significant personal investment in the firm ourselves. We each pay full management fees and carried interest, so we’re exactly side-by-side with our investors. “Ever since I arrived in the Valley, there’s been a debate about how the tech industry should approach government and legislation. There’s one school of thought that says we should just ignore Washington and build the future on our own, the idea that we’re going to invent our way out of any problem that comes up. Then there’s the other school of thought, that it’s very important to engage with Washington on their terms, because the industries that are threatened by technology are very good at lobbying. I’ve always been more in the second camp. Technology is very important and it has a big impact on the world. Politicians are naturally going to want to be involved in something that is that important, and they’re going to try to make laws about it. For every exciting advance we make, there’s someone on the other side that is threatened by it. The oldest and most entrenched industries are lobbying like crazy, so for the tech industry to not participate is just handing the ground to them. “There has been a lot more seed funding in the past two to three years. In terms of our own self interest as a VC firm, we want as much seed funding as possible — it presents us with a lot of great opportunities to evaluate for a venture round. Marc Andreessen is one *smart* dude. It’s naive just to point a firm invested in Facebook, Twitter, without saying when and at what value. Too many firms invest just to say they have these companies in their portfolio but the real VC winners are the ones who backed these companies early, like Accel with FB. Also, what’s the point of paying fees and carry – aren’t they just paying themselves? This is not real VC. This is Larry Bowman reprised 13 years later. That’s all. If wishes where horses the other silicon replicas can be in the famous racecourses from Ascot to others. Doesn’t your article explain the *magic* in the first sentence? It’s easy to make good returns when you are new, rich, and connected, much harder when expectations rise. It’s harder when VCs are new. It gets easier once they are connected and respected as the good teams/deals seek them out, they see all the different players going after a certain opportunity and just pick the best horse after vetting them all.